With large acrylic window emphasizing the most eye-catching image on the cover - it guarantees a “wow” effect. 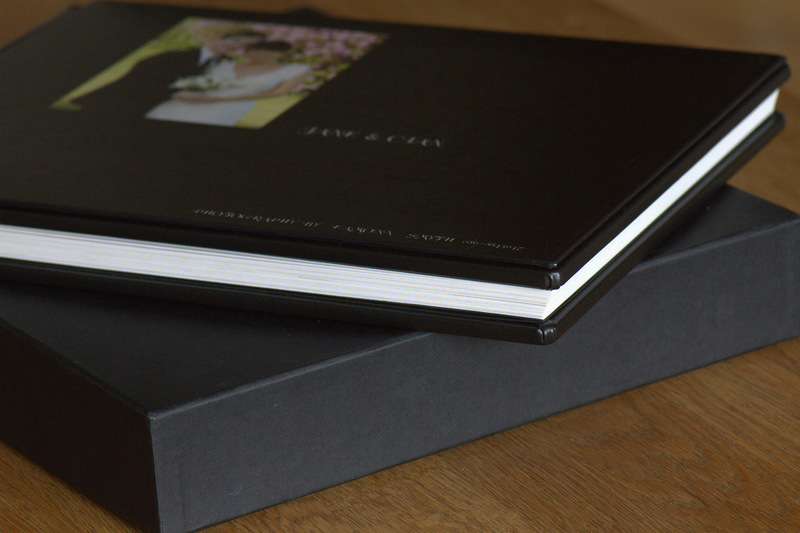 The Acrylic Prestige Collection Photo Album Set is available in three popular sizes, wide range of cover materials and add-ons. 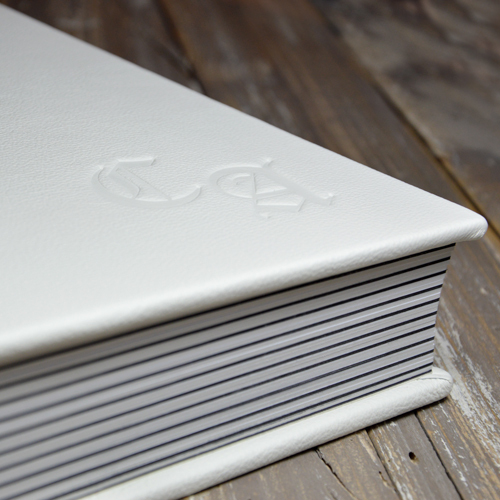 If you love luxurious classics, this delicate handmade album is for you.Every photo looks as a painting framed in a black and white passepartout. There are lots of suitable materials to choose from for the cover and a French spine only highlights the classical style. Over the years I have experimented with a dozen or so different services, and I have never seen anything like the quality of these durable leather-bound albums. 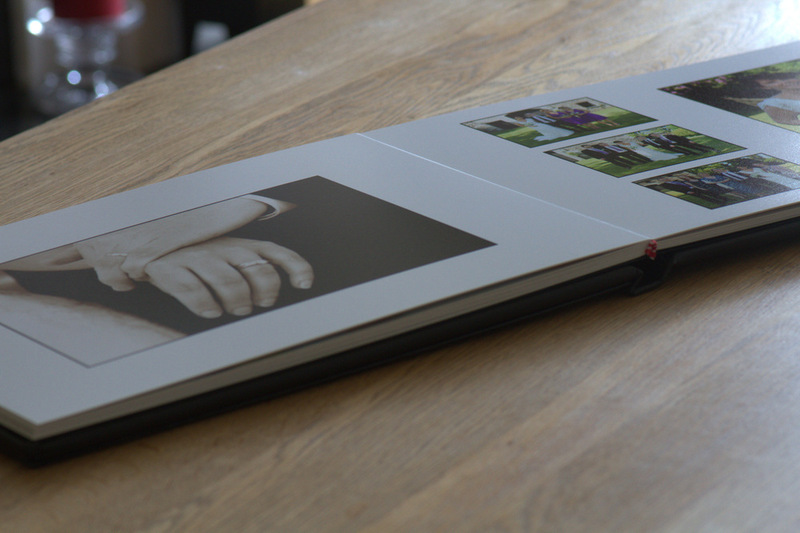 They are Printed and Bound by an Irish company based in Co. Wexford that specialize in this service alone. The quality simply cannot be compared to something you will buy on the High Street. Your album will tell the story of your day through a series of photos and collages. The leather cover can be printed with your names & wedding date, or with the quotation or phrase of your choice. 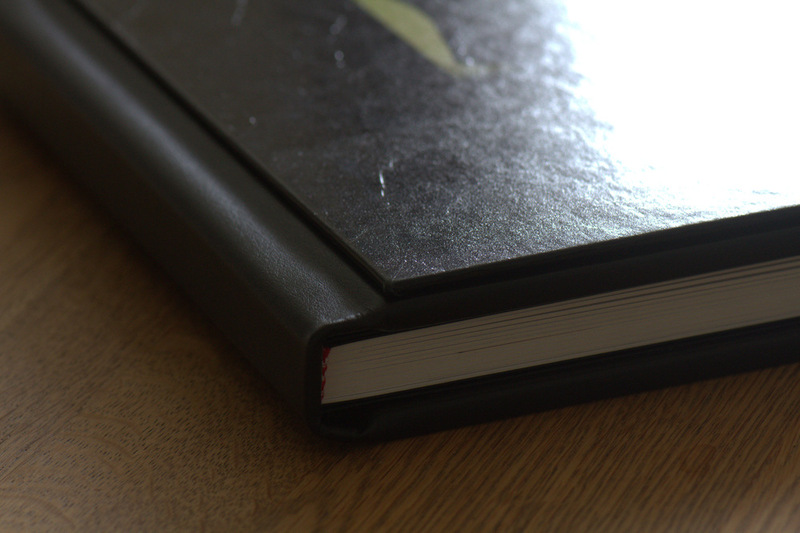 The lovely thick pages and hard leather cover will ensure this memento lasts forever. I love producing these albums, and every one of my clients has been thrilled by the outcome. please note there is a standard charge of €150 for the design of all stand alone albums..